Stylus pens are highly useful in digital artistry, graphic design, painting, and note-taking. Therefore, whether you’re a professional artist or hobbyist, finding a laptop with a well-made Stylus Pen is of extreme importance. While at it, it’s important to note that not all Stylus-ready laptops come with the pens. In some cases, you’d need to order for the pen separately and that means coughing out more than $30. 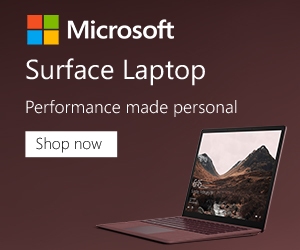 The good news, however, is that some manufacturers have decided to deal with that hassle once and for all by providing a stylus pen along with the laptop (at no additional cost). Below are some examples. Samsung is known for its dominance in the smartphone market. In particular, its S-Pen Stylus Pen is quite popular. It’s, therefore, not surprising to see the Samsung Galaxy Book 12 coming right at the very top of this review. 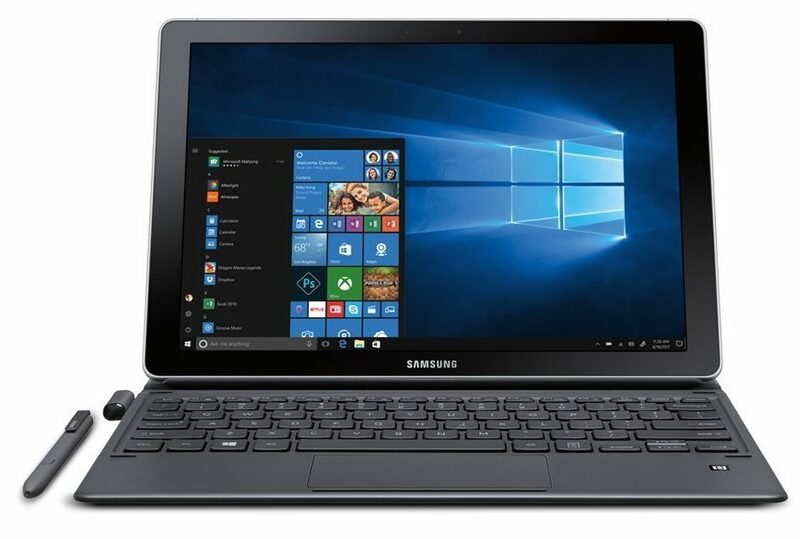 The Galaxy Book 12 is one of the larger 2-in-1 laptops from Samsung so far. A closer look at it reveals that it aims to steal the limelight from the Surface Pro from Microsoft. Further, the notebook boasts an AMOLED screen which comes complete with a satchel-friendly. And unlike its main rival, Microsoft Surface Pro, this one comes with a Stylus pen already included. You wouldn’t need to purchase it separately – yay! Samsung’s S-Pen packs the best technology you can expect from the latest Stylus pens. The pen is quite practical and highly responsive. It operates quite smoothly thanks to the fact that the Book 12’s display provides you with 4,096 pressure levels. This enhanced level of sensitivity makes the Galaxy Book 12 a solid choice for digital painting. In fact, you can go ahead and use it to achieve great finishes such as by introducing some brush strokes! On the flipside, though, when used in Photoshop, the S-Pen doesn’t seem to detect changes in angle. 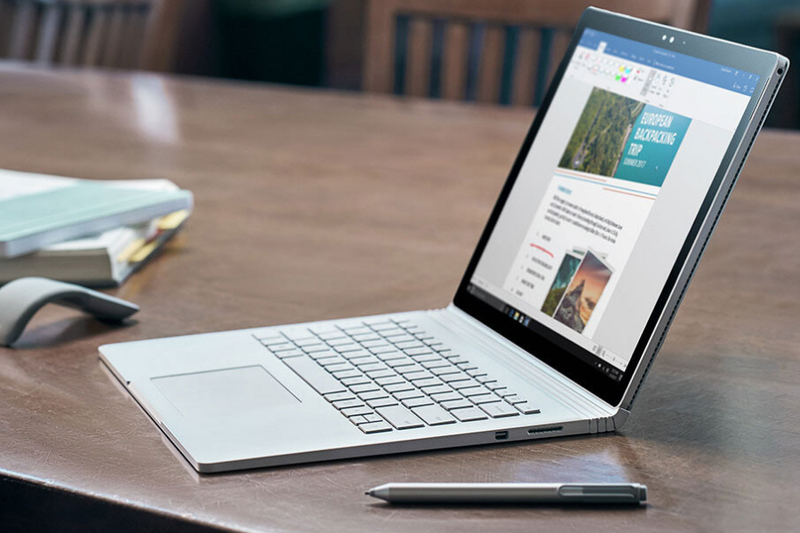 However, generally, the Galaxy Book 12 performs well and that’s why we singled it out as one of the best laptops with Stylus Pens on retail currently. 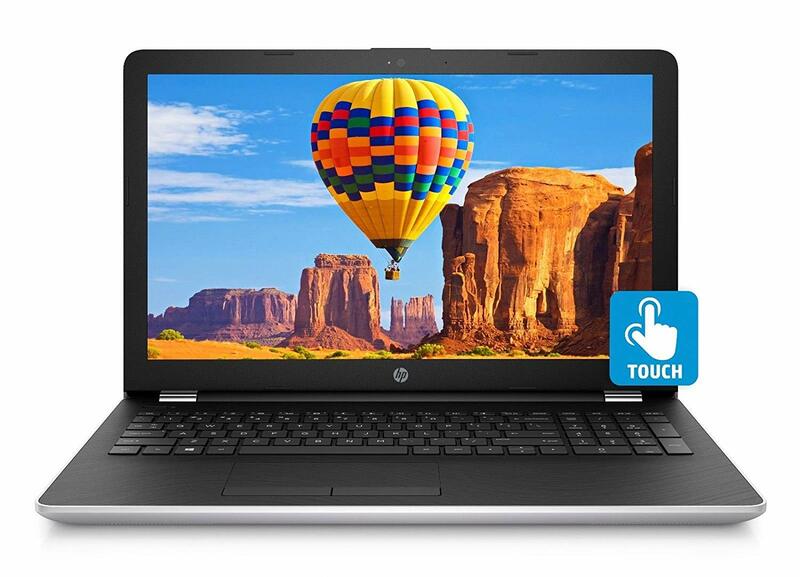 This uniquely designed laptop from HP represents the best there is in the world of modern-day computing. First off, it comes with a 360-degree hinge which goes a long way in providing you with the convenience you need to showcase your designs. On top of that, this unit boasts an FHD IPS multitouch screen. That’s alongside an AMD Radeon Graphics card. As you know, Radeon graphics are pretty advanced and this one, in particular, provides you with a 2GB DDR3 dedicated RAM. Sometimes, that’s all the power you need to enjoy your artistry with no disruptions. Most importantly, you also get a powerful Core i5-7200U processor with a base frequency of 2.5GHz. In fact, you can always turbo-charge that to achieve as much as 3.1 GHz by leveraging on the Intel Turbo Boost technology. Thanks to its generous size, the machine provides enough space for an island-style keyboard. 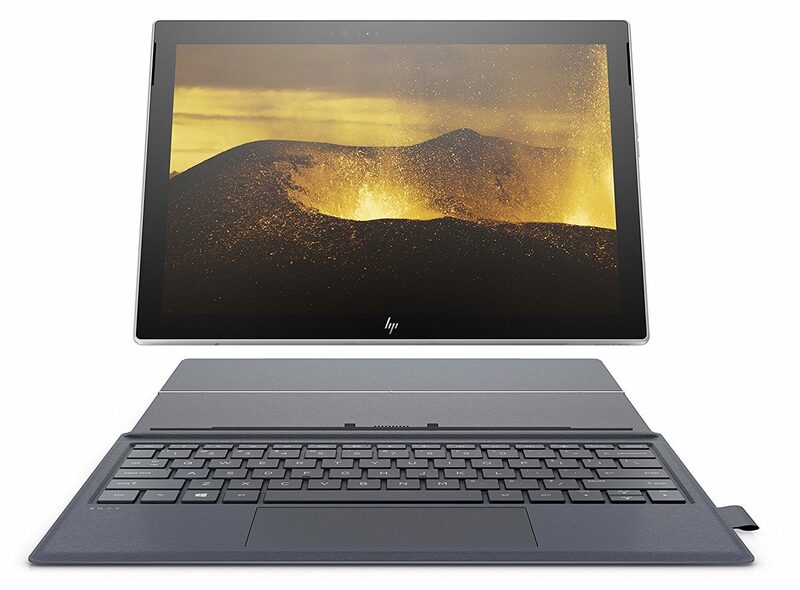 This comes complete with a numeric keypad, an HP Imagepad gesture support as well as a wide range of connectivity ports. The most important thing here is that this device comes with an HP Active Stylus Pen. The pen boasts superior hovering capabilities. It has a thin tip which is also highly accurate and extremely easy to use. And another thing, the Stylus pen is renowned for flowing smoothly over the surface of this latest touchscreen device. And save for the fact that the pen may feel stiff to some, we find that it works perfectly particularly when paired up with the 15.6’s FHD multitouch-enabled screen. If you don’t mind a battery life of 5 to 7 hours, the X360-13t from HP would certainly be of great benefit to you. The machine boasts an ultra-fast bootup time of fewer than 10 seconds. What’s more? It operates pretty fast and has a well-made chassis. So, what makes the Spectre so great? A closer look at it reveals that it comes with an Intel Core i7-8550U processor. Ordinarily, this processor operates at a 1.8GHz base frequency. However, if you’re looking for faster speeds, you can always switch on the Turbo Boost mode. That enables this machine to run at speeds exceeding 4GHz. Further, the unit boasts a relatively powerful UHD Graphics 620 card from Intel. That’s just as powerful as you’d need it to be when running your business or hobby. Yet another thing that makes this machine so popular among designers is its WLED-backlit touchscreen. 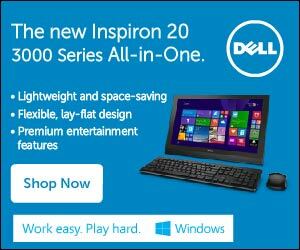 This one boasts a Corning Gorilla Glass for 1920×1080 resolution. 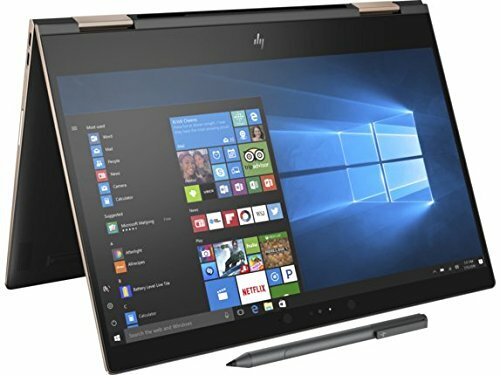 On top of that, you end up with an HP Sleeve and HP Active Stylus pen all which come in handy in enhancing your user experience. And with the ability to display over two-million pixels, you can count on this lightweight machine to deliver some award-winning drawings. Besides graphics and usability, this unit comes with a handy fingerprint reader, IR camera and an extremely thin bezel. Stylus Pens are great for digital artistry as well as note-taking. However, the nature of demands placed on machines with stylus pens requires them to have powerful processors. Without a powerful processor in place, it would be extremely difficult to push your creativity to the limits. 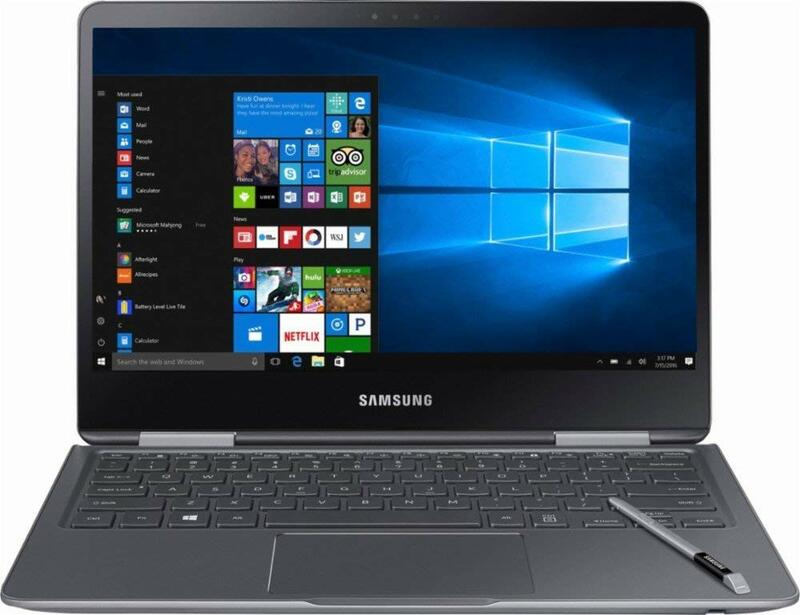 Fortunately, the NoteBook 9 from Samsung comes with a beefy Core i7-7500U processor. The processor has the ability to operate with frequencies of up to 3.5GHz. That’s in addition to the fact that it comes with an 8GB DDR4 RAM which improves the speeds even further. Best of all, this unit is powered by an Intel HD Graphics 620 card. As you know, the HD Graphics 620 card isn’t the most powerful one on the market. Nonetheless, it does a good job provided you only use it for normal computing and design. Otherwise, it might struggle with graphically intensive tasks. The machine, further, comes with a built-in pen. This handy pen is highly sensitive which means you can enjoy a natural pen-on-paper experience when using it. That’s partly attributed to the rig’s QHD display which has so far stood out with its immense power and dependability. 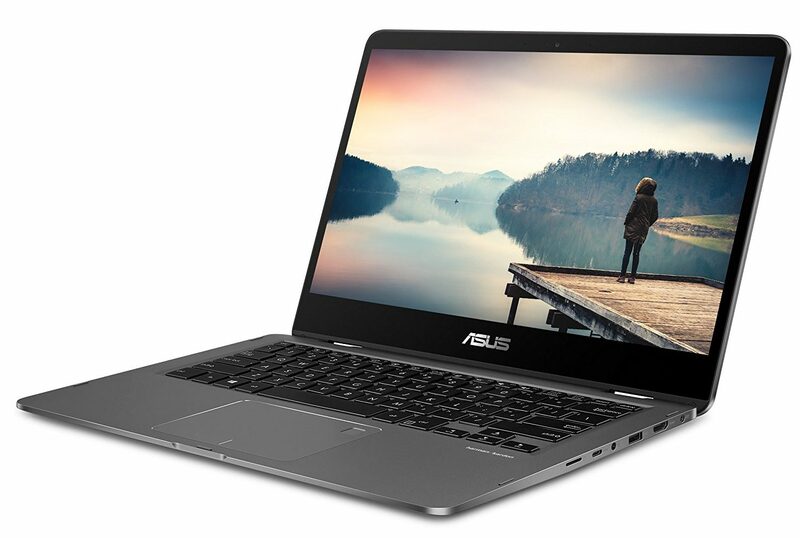 With a breathtaking 360-degree flappable touch screen, the ZenBook stands out with its ability to break common barriers. 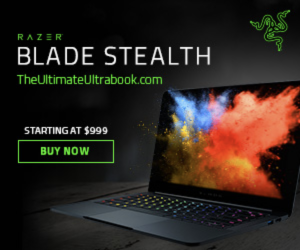 For starters, it comes with an NVIDIA MX150 graphics card. This is a highly powerful card for an ultra-smooth video playback. In fact, you can use this computer for virtually all kinds of multimedia creation tasks. That’s in addition to the fact that this unit can be used for light duty gaming. Most importantly, the ZenBook is one of the few laptops with a Stylus Pen. Indeed, the Asus Pen is optimized for delivering a great touchscreen experience. That’s because it also comes with a 10-point multitouch display which is further complemented by the presence of high precision sensors. And to make sure you never have a dull day at work, the UX461 boasts a fast recharging lithium-polymer battery. This battery recharges for up to 60% in less than 49 minutes. And once it’s on a full charge, it can provide you with as much as 13 hours of power. And the icing on the cake is that this unit is capable of delivering stunning views. Its 14-inch NanoEdge display and an ultrathin bezel give you a superb 80% screen-to-body ratio. The powerful display can go a long way in enhancing the quality of your work especially if you’re a professional designer. 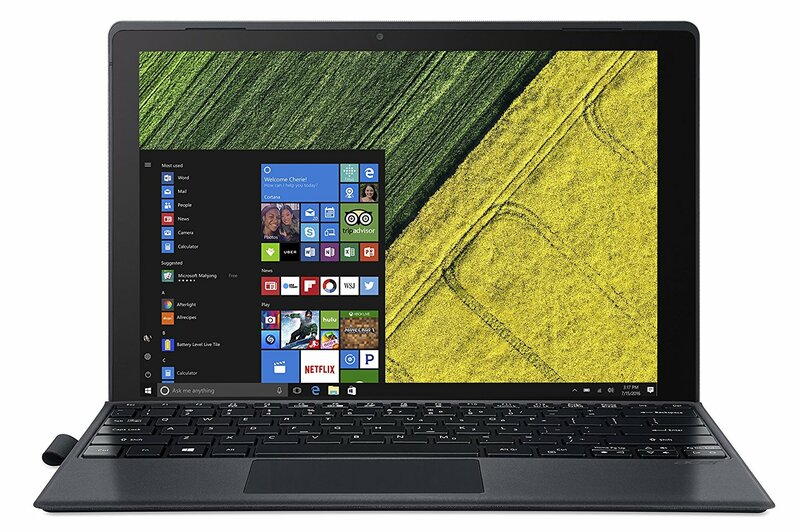 This affordably priced laptop provides a 7-th generation Intel Core i5-7200U processor with an average base frequency of 3.1GHz. That’s the kind of processing power you need to take full advantage of the 2160×1440 multi-touch IPS display. So, with all that freedom, you can go ahead and design, draw, and write stuff with your own handwriting! Fortunately, this laptop comes with an Acer Active Stylus pen for that. The pen is specially designed to emit direct on-screen digital ink. In fact, it works pretty much like a natural pen – so you end up with a normal pen-on-paper experience. The pen comes fully equipped with Windows ink meaning you can use it quickly and naturally. What’s more? Windows Ink provides you with the ink needed to capture your creativity no matter whether you’re an artist or not. Plus the option of erasing is always provided at all times. And to make sure you’re never stranded in the middle of a busy day, this machine’s processor boasts immense power. That’s because it is powered by an Acer LiquidLoop cooling system which helps keep the processor cool enough to operate for long hours. What’s more? There’s a fanless heat pipe system provided to reduce dust and guarantee a noiseless operation. And best of all, you also get a powerful 10.5 hours of battery life. That’s more than enough for a typical workday. Can you imagine owning a fully-fledged laptop that weighs about 1 pound? Picture this – a typical MacBook pro weighs about 4.5 pounds. So, the HP Envy X2 weighs less than a quarter of the MacBook Pro’s weight. Besides being so ultra-light in weight, the HP Envy further boasts a multitouch WLED backlit display. This edge-to-edge display guarantees you of a 1920×1280 powerful display. And to make sure you never waste time even when running multiple programs simultaneously, this machine provides you with a 4GB RAM. That, however, is a bit too low for a highly intensive computing lifestyle. And to make the matters worse, the RAM isn’t upgradeable. Ordinarily, a 4GB RAM should be enough to power a maximum of 5 programs at once with no major issues, though. Moving on, the Envy X2 comes with an amazing 12.3 inch diagonal WUXGA, IPS display. This multitouch-enabled display ensures that you end up with a high quality of resolution spanning from one edge of the glass to the next. And the icing on the cake is that this machine comes with an HP Digital Pen. The Stylus pen has a good thumb grip. However, we didn’t like the fact that the pen is a bit too stiff. You have to press a bit hard on the screen for it to work. That said, the pen provides you with a swift snap tech feel alongside a rubber grip for enhanced user experience. To top it all up, this mini-laptop comes with a Qualcomm Snapdragon 835 processor. The processor may not be beefy but it certainly is capable of punching above its weight. Whether looking for a normal laptop or one with a Stylus pen, finding the right machine can be a lengthy process. And because not all touch display rigs with pens are equal, we hope the round-up above will help you choose one that meets your demand for quality and efficiency.